That’s right! 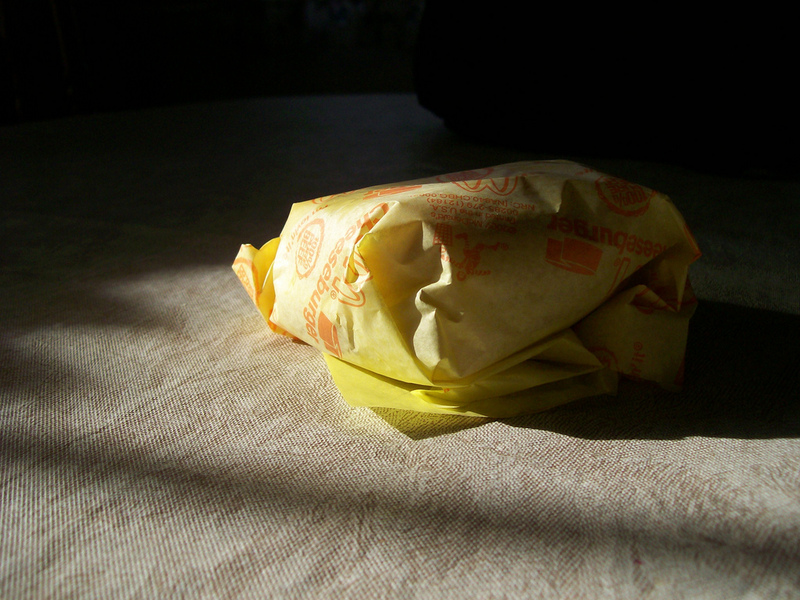 A good, old-fashioned McDonald’s Cheeseburger, wrapped in the same yellow wrapper as it was five years ago when I had one last. The sandwich itself is a wonder of culinary science, trashy as it may be. Truth be told, I could probably have eaten this without the meat patty and been completely happy. The condiments are just the right mixture, from the slightly melty cheese to the perfect pickles to the amazing dehydrated onions. 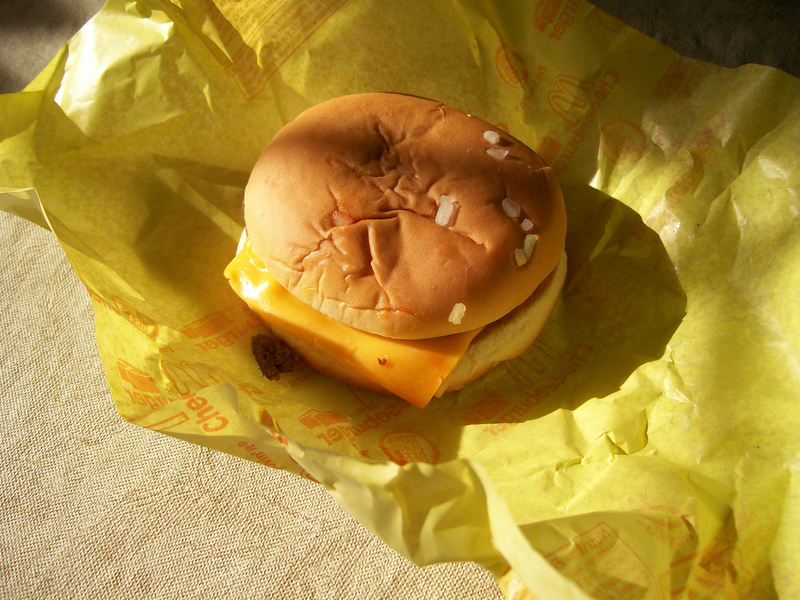 The McDonald’s cheeseburger is heaven in only 300 calories. Did you know that it is actually cheaper to buy a double cheeseburger at McDonald’s than it is to buy a single? Why must they make it harder and more financially draining to eat (slightly) healthier? Is it to make their dollar double seem like a better deal? Oh well. I’m willing to pay the extra four cents for my indulgences.